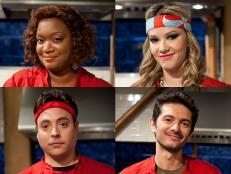 Five episodes, 15 baskets and 60 out-of-this-world ingredients later, there's a new All-Stars champ to crown. 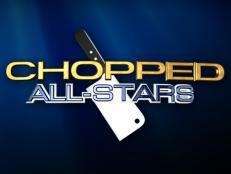 And while there can be only one winner, who can forget the All-Star chefs and celebs who have turned out one impressive dish after another in an effort to win $50,000 for a charity of their choice? If you missed the show and recorded it, don’t read any further — FN Dish is about to break down the episode and chat with the runner-up. 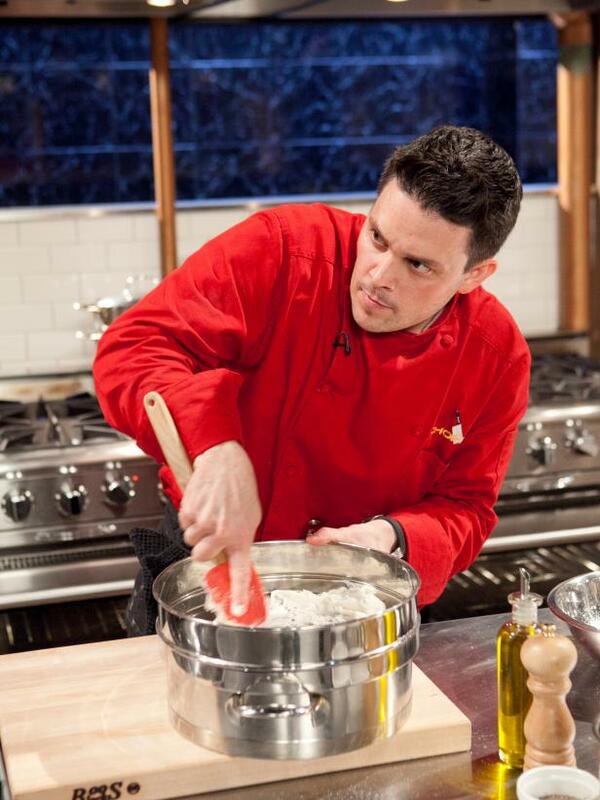 All-Star Chef Gavin Kaysen working on his dessert that must include: freeze dried grapes, marrow bones, marcona almonds and cannoli cream,as seen on Food Network's Chopped All-Stars, Season 14. 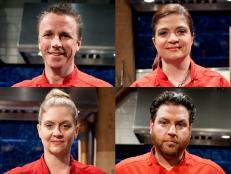 Gavin Kaysen beat out some stiff competition to move on from the Mega Chefs round of Chopped All-Stars. The Cafe Boulud chef and seasoned Bocuse d’Or competitor brought his A-game once again to the finale, advancing past Laila Ali and Sunny Anderson to cook head-to-head against Scott Conant in the dessert round. Though Gavin nailed his risky bone-marrow-and-lemon dessert, undercooked farro from the entree basket came back to haunt him in the end, and Scott scored the coveted All-Stars win. 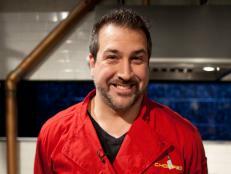 FN Dish chatted with this All-Star runner-up about the Chopped experience and his charity, Children’s Cancer Research. 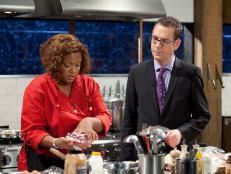 You’ve competed a lot before (Bocuse d’Or, Next Iron Chef) but never on Chopped. How does this compare to those experiences? GK: Bocuse d’Or is such a different discipline. This is one day; it’s very instant. I got up at 6am this morning and it’s 9pm now and I know the outcome. Bocuse d’Or is 10 months. It’s just a very different emotional ride, and if anything, I think you learn how to change your mental outlook when you do different competitions. 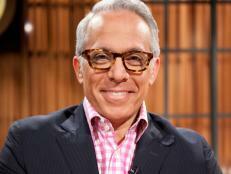 Next Iron Chef was also a different beast. To be honest, I think I was too young to be on the show (in Season 1). I was just so overwhelmed by everything. The makeup, the lights — unless you understand it, it’s just totally foreign. It’s a lot to take in. 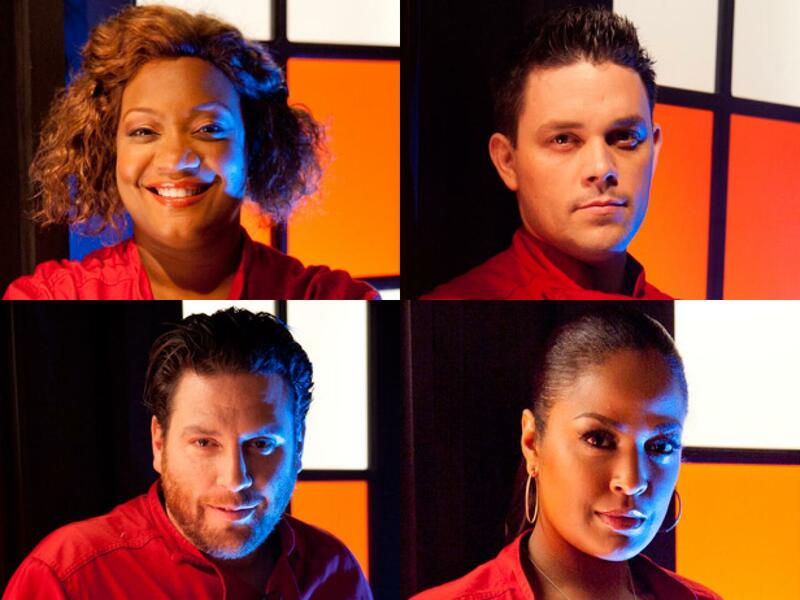 Going into that final round today, how did you feel about going up against Scott, who’s being judged by his own Chopped cohorts? 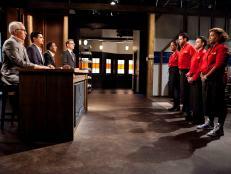 GK: In many cases, Scott’s going to be judged harder, right, because he’s a judge. So I think that his first two courses were so sound that I really needed to knock it out of the park with the dessert course. It just wasn’t enough. I was less worried about going up against him because I figured it would be him. I know these judges well. 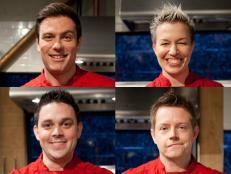 Aarón and I did Next Iron Chef together, and I’ve known Marcus and Geoffrey for a long time. I like being judged by my peers because that’s the most true reaction that you’re going to get. I don’t disagree with anything that they said. The only thing I disagree with was that Aarón said he could cook farro in 20 minutes — that’s BS! You did knock it out of the park with dessert — you really nailed that course. Did you think it would be enough? Did you expect to see your dish get chopped? GK: I think you always visualize your dish under there. But I also knew that the farro was kind of my demise. I should have thought about that differently. What was the hardest basket of the day for you? GK: Since the farro killed me, I guess that! Of course, I’ve worked with that many times. I don’t know if there was necessarily one ingredient that I was thrown by. The goats kind of threw me because they were so small. They looked like rabbits. Did you go into the dessert round with any ideas in your back pocket? You said you don’t normally use the anti-griddle — why did you go that route? GK: When I saw the bone marrow, I thought to myself, 'How can I counteract that fattiness?' I thought citrus, and then I thought, 'OK,, I’ll do a lemon curd tart.' Then my thoughts started to go to temperature differences and texture differences. So that’s when I went for the anti-griddle. 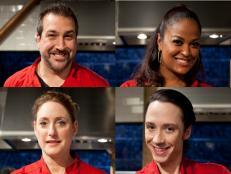 Would you come back for another shot at Chopped All-Stars? GK: Sure, I would come back. It was fun. At the end of the day, if you win or lose, I think it means less when you’re in the final two. The real meaning of it is the charities, and Julian’s charity is so true and heart-wrenching that people look past the other stuff. That awareness will raise more than $50,000 for Children’s Cancer Research. 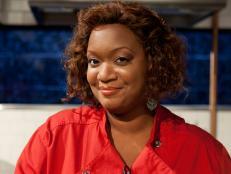 FN Dish chats with the celebrity runner-up from Round 4 of Chopped All-Stars.